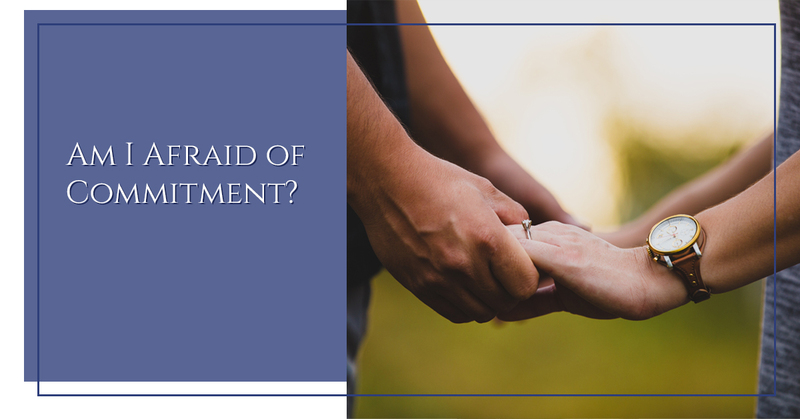 Couples Therapy Palatine: Am I Afraid of Commitment? You have probably heard the term “commitment phobe” before. Maybe you know someone who has had a string of one night stands but never deeper relationships, or someone who seems to avoid any situation that could be considered remotely romantic. Maybe you even recognize yourself in one of these descriptions. A romantic relationship is not required to have a meaningful, rich life, but if it’s something you want but can’t seem to commit to, it’s worth doing some self-exploration around why that might be. Below are some common reasons why people fear commitment. Vulnerability is key to building intimacy. The uncomfortable truth of relationships is that you have to let down your walls to show your partner who you truly are. This is frightening because you risk rejection, betrayal, and abandonment. At the same time, in order to be truly connected to your partner and receive and give love, you have to let go of fear and be yourself. A fear of commitment may be due to anxiety about being vulnerable and facing potential rejection. Maybe you watched too many romantic comedies as a tween, or you have decision fatigue from swiping every which way on Tinder. Regardless of why, you might be afraid of commitment because you are holding out for the “perfect” partner. You might have a list of must-haves and an even longer list of “deal breakers.” The truth is, no one is going to meet all of your qualifications, and you may be eliminating someone you could really connect with because they don’t meet your unrealistic expectations. Forget about your lists and focus on how this person makes you feel when considering whether or not to deepen the commitment. Many people express variations of this sentiment about their career, relationship, or life. It feels like any kind of commitment means that they are going to be “trapped” into something. This can lead to leaping from one person, one city, or one job to another, never really investing time or energy into anything in particular. Commitment is necessary to make any progress towards any goal, whether it’s a satisfying career, enriching hobby, or deep intimate relationship. If you suffer from that “trapped” feeling, keep in mind that a commitment doesn’t have to mean “forever.” It just means that you are fully invested in this moment. If you are like many people, you may have trauma from previous romantic relationships. Whether you are suffering from post-traumatic stress disorder (PTSD) from a sexual assault or domestic abuse, or you simply have been burned too many times before, it can be terrifying to even think about opening yourself up to others again. If you are experiencing severe anxiety symptoms when faced with the possibility of dating, you may benefit from working with a therapist to address the trauma you have faced. Regardless, it’s important to know that your past doesn’t dictate your future. Love requires you to take the leap of faith that things can and will be different, regardless of your previous history. At New Transitions Counseling, we offer a diverse range of psychological services in Palatine, from couples therapy to autism support groups. If you need the aid of a compassionate, nonjudgmental therapist, contact us for a free phone consultation.